INFLUENCES: Improves energy in heart chakra, alleviates anxiety, stress, and depression, improves emotional health, promotes forgiveness, empathy, growth of self, love of self, influences happiness and joy. 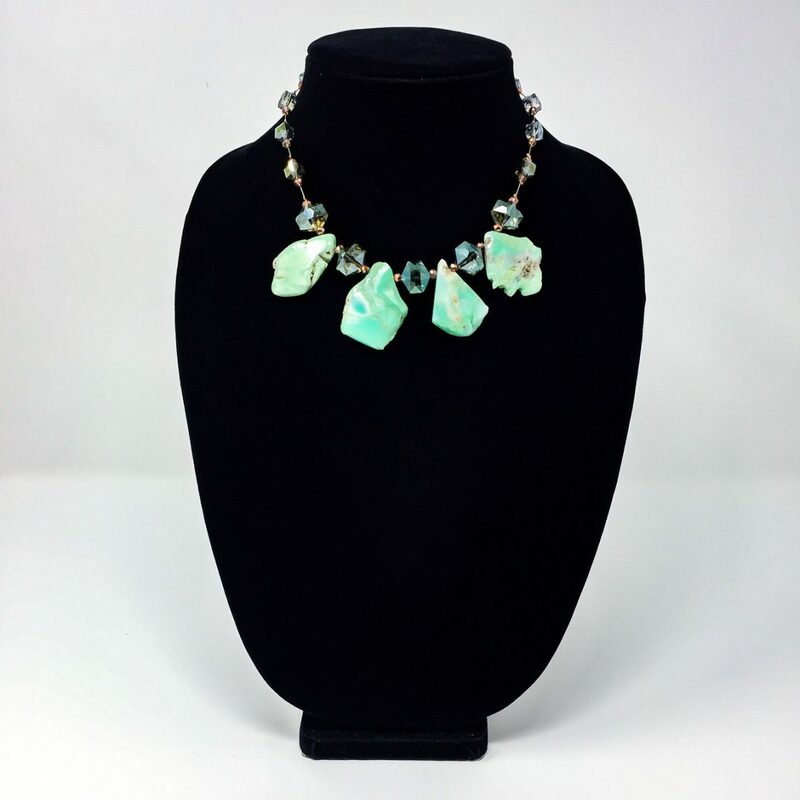 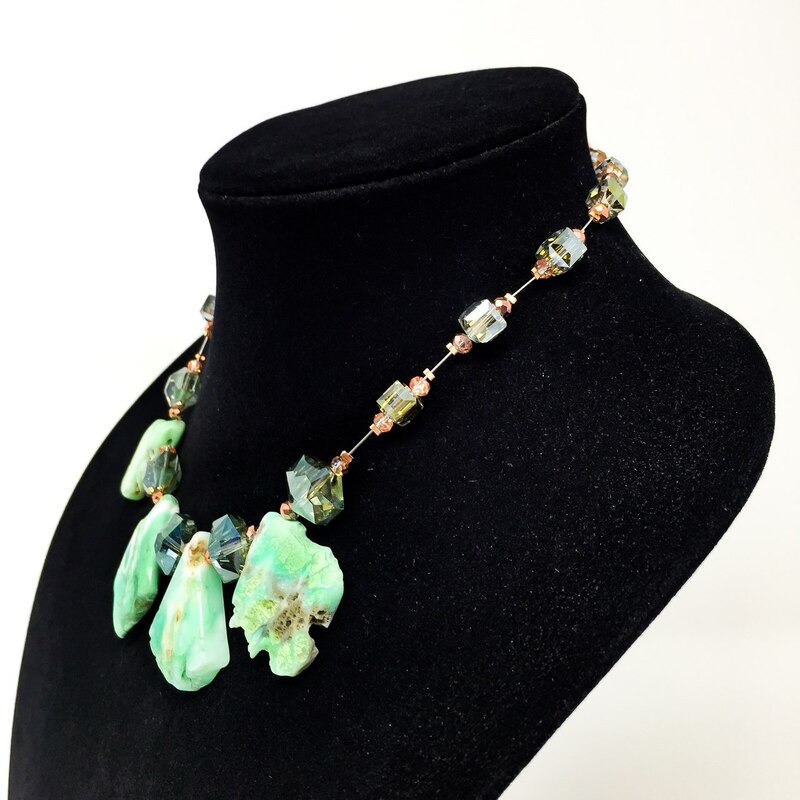 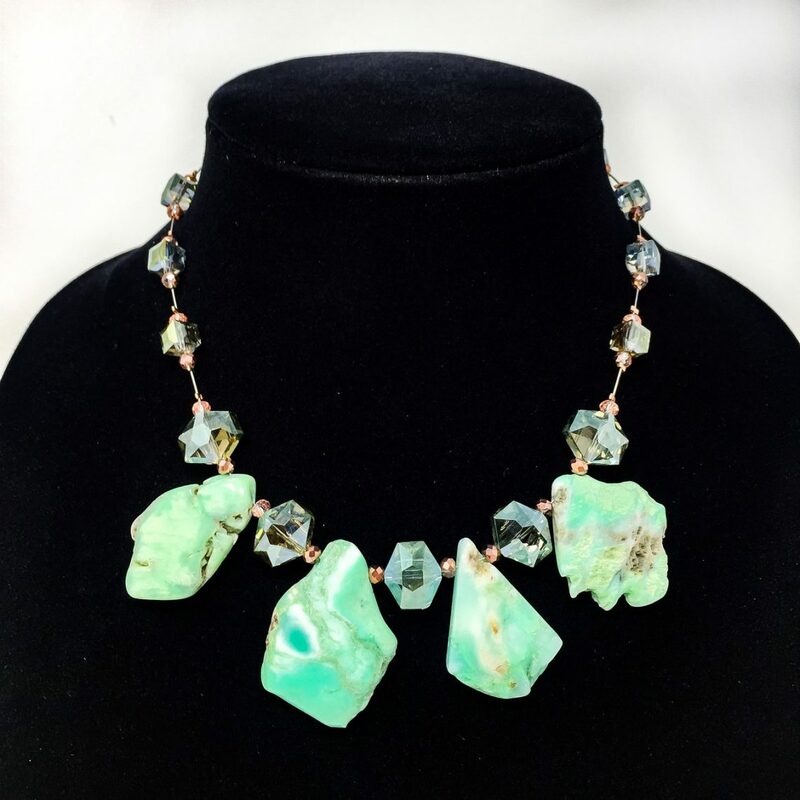 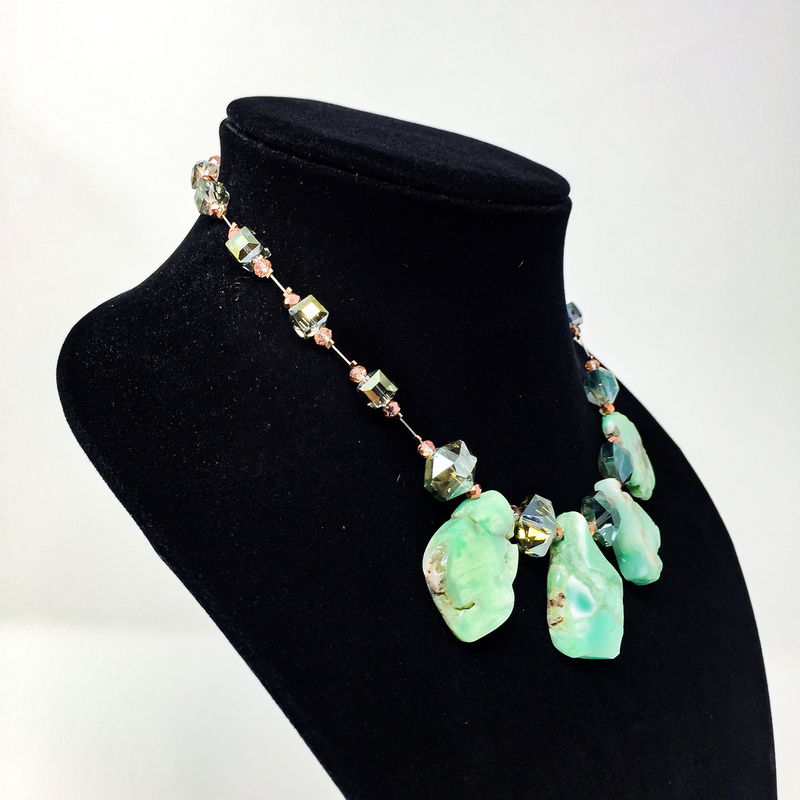 MATERIALS: This beaded necklace features pendant stones of Chrysoprase crystals, adorned with Swarovski sea green crystals, Swarovski rose gold crystals, rose gold cubic zirconia clasp, and copper signature tag. 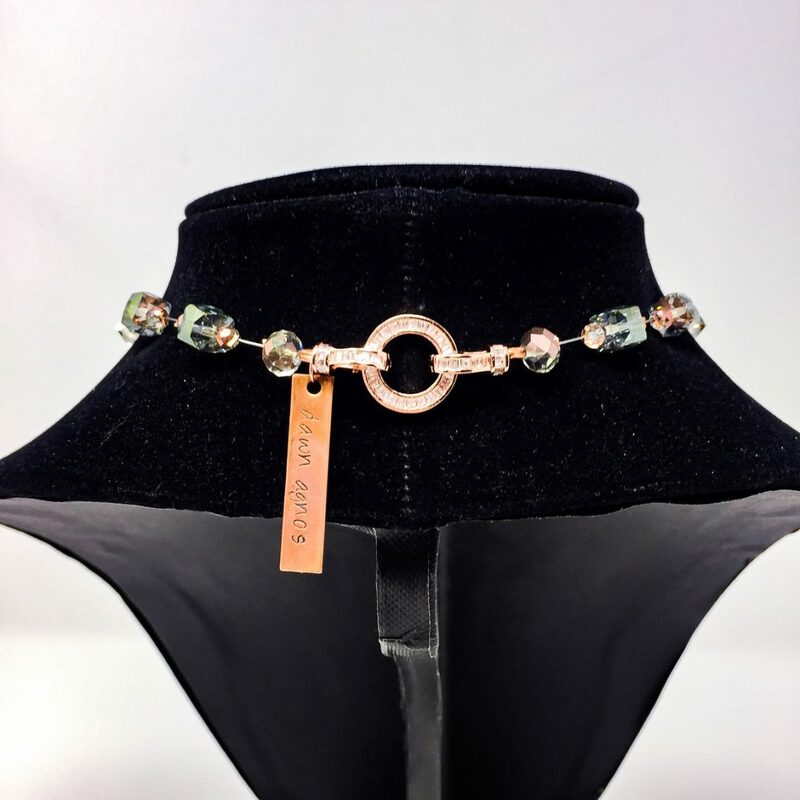 Intuitively sourced and lovingly crafted by the hands of a genuine healer.